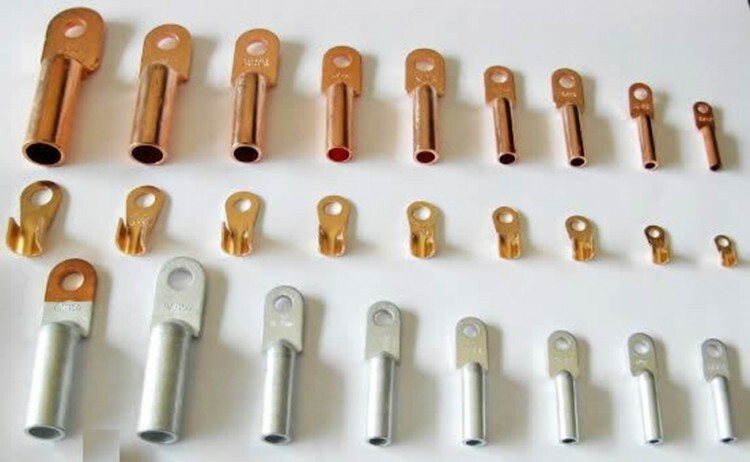 Product categories of Copper Terminal Lug, we are specialized manufacturers from China, Copper Terminal Lug, Dt Copper Cable Lug suppliers/factory, wholesale high-quality products of Copper Connecting Terminal Lug R & D and manufacturing, we have the perfect after-sales service and technical support. Look forward to your cooperation! Copper Cable Terminals Crimping lugs Heavy Duty are made of electrolytic copper. Cable lugs come in bare or tin plated finish. Copper Cable Terminals Crimping lugs Copper Cable Terminals Crimping lugs Heavy Duty tubes are pressed, forged and machined to achieve the desired size and shape. Due to the uprising demands of our patrons, we are instrumental in offering a quality range of Copper Terminal Lugs. These are designed in tune with the set industry standards, so that the final product stands high on quality.